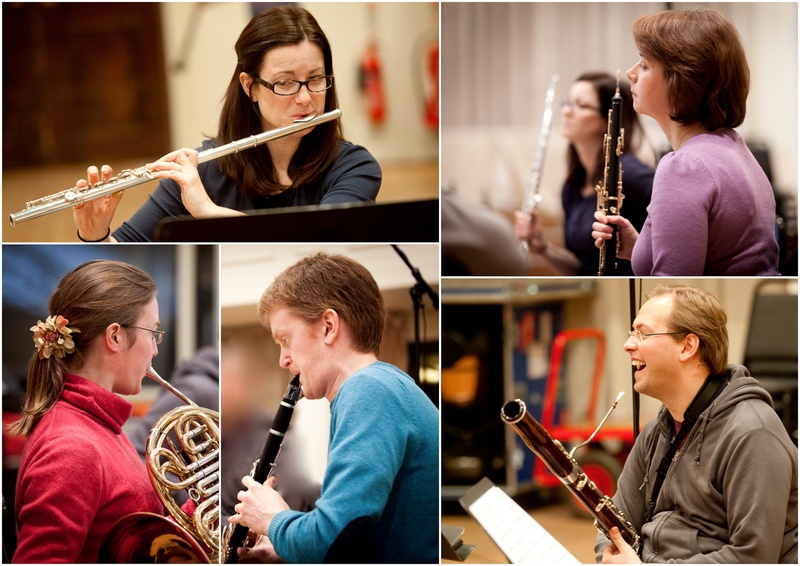 Established in 1996, the Aurora Ensemble is a traditional wind quintet which also expands to work with piano, strings or to explore the repertoire for wind octet. Each of its players work regularly with some of the country’s leading orchestras and chamber ensembles. Prizewinners at the European chamber music competition, Musique d’Ensemble held at the Paris Conservatoire in 2001, the ensemble has broadcast for BBC Radio 3 and performed in many major venues including the Purcell Room and Wigmore Hall (for the Park Lane Group), Manchester’s Bridgewater Hall and Cardiff’s St. David’s Hall. Each season it performs for numerous music clubs and festivals. In 2002 the ensemble recorded its debut CD which included the first CD recording of Marin Goleminov’s Wind Quintet No.2 and the world premiere recording of Ronan Guilfoyle’s Groove Merchants. With funding from the Arts Council of Ireland, the Auroras commissioned a new work from Ronan (Under One Roof) which they premiered at the Warwick Festival in June 2004. Their second CD Humoreske was released in 2006 which featured works by Zemlinsky, Mozart, Grainger and Malcolm Arnold. Also included was music by television and film composer Jim Parker – as a result, Jim wrote a new piece for the Auroras entitled Boulevard which they premiered in November 2006. Konzertstücke is their third CD and for this recording the Auroras are joined by their long time collaborator, Joanna Smith. The Auroras are delighted to be including Roderick Elms’ Moody Moves alongside repertoire by Mozart and Mendelssohn which regularly features in their recitals for piano and winds. Sounds Exciting is the ensemble’s own education project which runs in conjunction with their recital work. The ensemble directs its own courses for amateur musicians at Hawkwood College, Gloucestershire every Easter and summer. Looking forward to an exciting 2016-17 season!